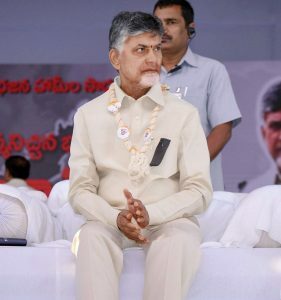 New Delhi, Feb. 10 (PTI): TDP president and Andhra Pradesh Chief Minister N Chandrababu Naidu will sit on a day-long hunger strike in the national capital on Monday demanding special status for his state and fulfilment of commitments made by the Centre under the AP Reorganisation Act, 2014. It may be noted that Naidu had staged an indefinite fast at the Andhra Pradesh Bhavan in October 2013, demanding that if a separate state is carved out of then unified Andhra Pradesh, both should get equal justice. He was forcibly shifted to Ram Manohar Lohia Hospital the fifth day after his health deteriorated. Last year, the chief minister had observed fast Vijayawada on his birthday on April 20 demanding special status for the state. After quitting the NDA in March last year, the TDP had also moved a ‘no-confidence motion’ in the Monsoon session of Parliament in July 2018, which was defeated.